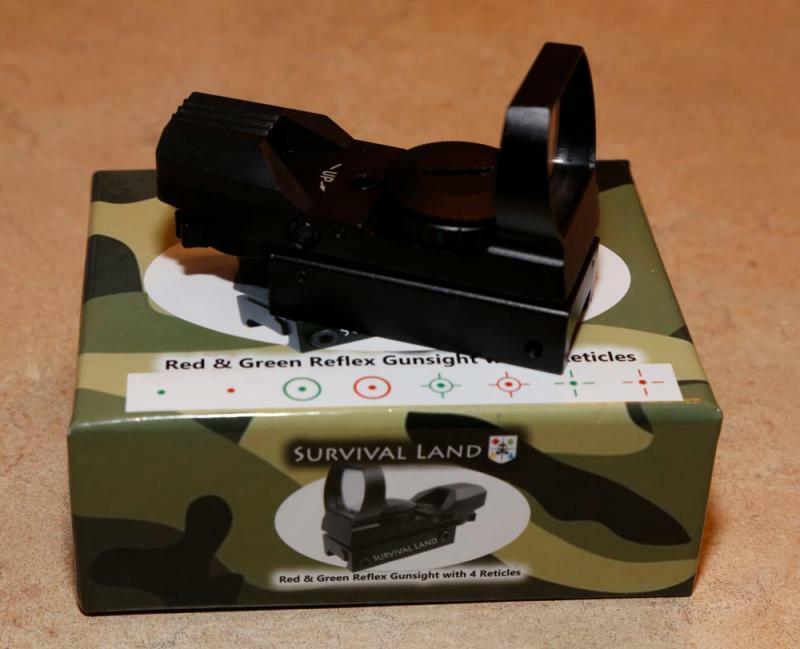 Do You Find the Reticles of a Reflex Gunsight Too Bright? I have found that the Reflex Gunsight makes quite a nice zero power finder for my scope. They are reasonably priced, if you go to a sporting goods outlet and stay away from an astronomy store, light weight, and easy to adjust with the adjusting screws having click stops. Once aligned they maintain alignment well too. The one thing I found that I really didn’t care for with them is the brightness of the target projected on the glass. Being designed for day light use, even the dimmest level is too bright. I lose Sirius in the glare of the reticle when doing a star alignment. I had heard somewhere that putting a neutral density filter over where the reticle beam is emitted will do the trick and dim things down. Not wanting to try to cut a small rectangle of glass I looked for a plastic filter instead. What I found though was even better. 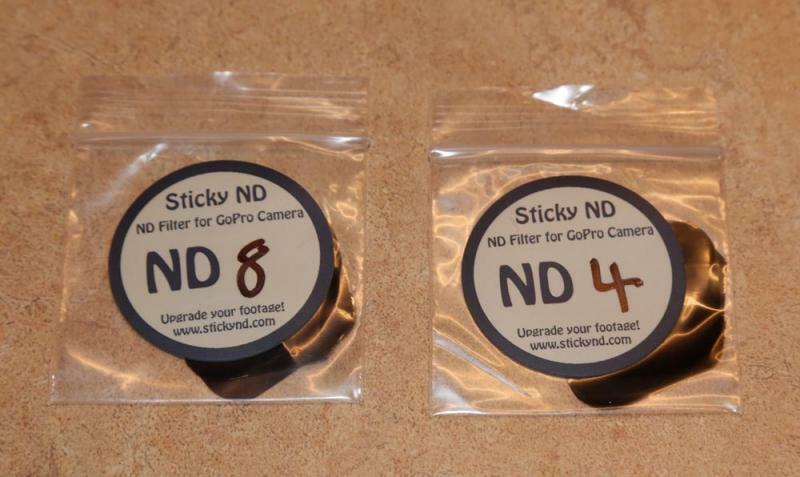 In a search of eBay, I came across a thin self-adhesive ND filter material meant to be used on GoPro cameras. This stuff works great! Easy to cut the small .25 x .31 rectangle and with the help of a tweezers, it was no problem attaching it to the glass window. To reduce the light enough I found that a double layer of the ND 8 worked fine. Thanks for the info, I've got one (not the same brand) but too bright to use as is. I'm gonna try this. Your recommendation then is just get the ND8 and not bother with the ND4? Awesome! Thanks for the tip! Will have to give it a try. Yes, if you can. You would have to find a different source since the listing I bought from sold both together. Red tail light repair tape. I used a piece of exposed color negative film, thanks to a tip from another thread here. I've tried red plastic filter first, the red light passed right through without dimming. Indeed, trying to filter red light with a red filter is very likely to be a fruitless endeavor! After all, a red filter is usually *designed* to pass as much red light as possible. Unless the red filter has a very sharp cut-off and passes light *more deeply red* than the red LED's emission. A green filter would be better, if no neutral filter is to hand. I use a Browning Buckmark sight, it has a brightness adjustment on it, I turn it down to the lowest level, works fine for me. Is this why I see 2 or 3 stars when there should be only 1? (I also wear progressive tri-focals) but I think they used to work with the reflex sight. Having a very hard time with it now. Due to my careful alignment procedure I seldom find it necessary but when my scopes out of whack I really depend on the reflex finder. Can you turn it down so you can't see it under dark skies? 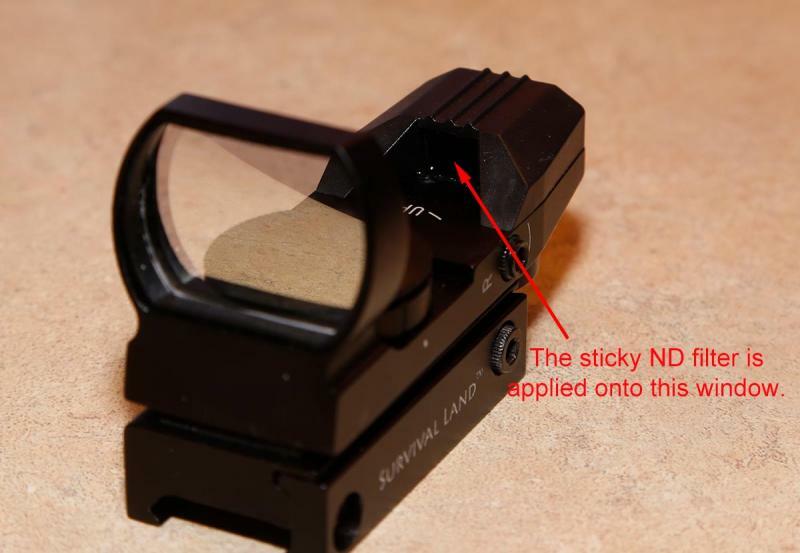 The Browning Buckmark appears to be another reticule sight from the same factory as Rexcat's. In my experience, they are too bright for dark skies. The Telrad can be turned down so it cannot be seen.. that's how they ought to be. Then it can be turned up to it's barely visible. I've never had the opportunity to use it under REALLY dark skies. From my home (Northeast Ohio, suburb of Cleveland, lot of light pollution) it works fine. I've used it when we've gone camping in places with darker skies but still with some light pollution and it was acceptable. I also have a Televue Starbeam finder, it gets VERY dim but then it cost a LOT MORE than the Buckmark.